How to calibrate your extruder. This has come up a few times recently, so I thought I'd try it myself (I never did!) and document the process. This is all thanks to Ed Nisley's tireless efforts. Step 0: measure your filament thickness at several points with calipers and take the average. Enter it as the filament diameter in your slicer ("Other" tab in Simplify3D). Get or create a model of a cube of the size you want. Here's a 20x20x2 model with 2mm fillets on the x/y corners. Caliper the wall at several points and eyeball the average thickness. I got measurements around 0.37mm with my current extrusion multiplier of 0.9 and extrusion width set manually to 0.40mm. A very simple exercise, everyone should try it! Last edited by jsc on Sat Jun 06, 2015 6:31 am, edited 2 times in total. I just did this today too! I ended with extrusion multiplier at 0.86 to get the 0.42mm extrusion width. Excellent! Many thanks, and this one should be pinned for all us newbies. jsc wrote: How to calibrate your extruder. I sometimes wonder why a thinwall box isn't sticking to the platform, only to realize that I've run off half a dozen (or more!) on the exact same spot without refreshing the hair spray: they're also a good test of first-layer adhesion. After you get the thread width and first layer height ironed out, print a solid cube with 100% infill to verify the infill settings. It should come out exactly water-level full, without overstuffing or underfilling. If not, tweak the infill width a bit. When you get good results with both boxes, you can tackle more complex problems... and having simple, known-good objects that you can easily compare with previous results will save you days of head-scratching. This discussion leads me to a question that has always bothered me. What extrusion width should we be using. Obviously if you need a thin walled object then you go for whatever width of wall you need. But for other items whats a good rule of thumb. I generally just shoot for a width that seems to give me a gapless top layer print on a curved surface, but would be interested in a more scientific method other than ballparking it. My answer is 0.40, because it is bigger than 0.35 and a round number, and therefore easy to design models around when you care about having an exact number of perimeters without gaps. You shouldn't go lower than that, and you shouldn't go higher than 0.5, because it will start to push out more plastic than the bottom of the extruder is wide. Between those, you can pick what you like, unless you start going over .2mm layer heights. There is a concept often referred to in the reprap community as w/t, width over thickness. You want that ratio to be higher rather than lower for good adhesion, and I dimly recall the number 1.8 being thrown around as a minimum. 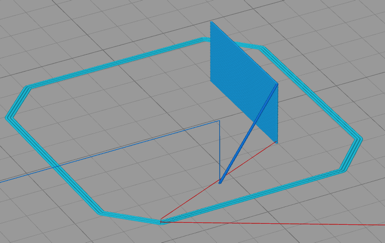 That seems like the Extrusion Multiplier isn't set quite right, because there shouldn't be any gaps, no matter what. The Extrusion Multiplier isn't a set-and-forget constant. After you calibrate it to produce a known width, it'll be close for other widths using the same filament at similar temperatures and speeds. Vary anything too much, the extrusion process will also vary, and the new conditions call for another calibration. Which is enough hassle that I generally chuck up a filament spool, calibrate the process to produce 0.40 mm width threads at 0.20 mm thickness, get the infill set properly, and run with that for everything until the spool runs out. Of course, I can get away with one filament and one setting because appearances don't matter much for what I'm doing and I care more about the object dimensions; some folks around here change filaments more often than I change clothes and can put up with tweaking their settings to get spectacular results. 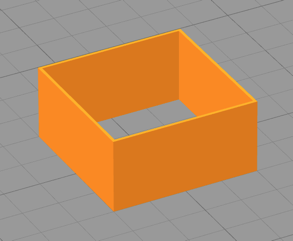 I'm trying to do this exercise but for some reason Simplify3d only wants to print one of the four walls (of the .4mm thin wall). Anyone know how to get it to do all four walls?